This unique function hall is fully equipped to hold weddings, parties and receptions for up to 275 guests. 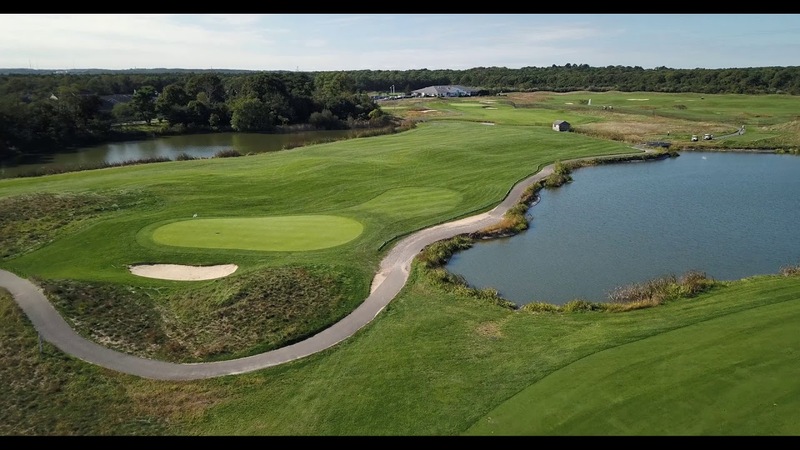 Mill Pond Golf Course is a beautiful, 18 hole championship golf course located in Medford, NY on Long Island. Mill Pond offers the public golfer a rare treat: incredible golf coupled with superb service and all the amenities one would expect at a private club. The links style layout situated on over 200 acres is reminiscent of classic Scottish courses. Before or after your round enjoy breakfast, lunch or a casual beverage in the Grill Room or relax on the outdoor terrace overlooking the scenic Course. The Mill Pond “Ballroom” and “Breezeway” can be transformed into the perfect setting for your catering needs. Be it an intimate wedding or a charity fundraiser, our experienced staff will assist you in making it a memorable occasion. Online Tee Time Reservations can be made up to 7 days in advance. Town of Brookhaven Residents can receive discounted greens fee by purchasing a Mill Pond Resident Card in the golf shop for only $20, which is valid for 2 full years. Mill Pond can accommodate golf outing groups up to 144 golfers. Each outing is treated as a unique event no matter the size, and large groups can book a shotgun start making it possible for all golfers to finish at approximately the same time. The highly experienced Mill Pond Golf Instruction team offer programs for golfers at every age and level. The practice facilities are excellent for sharpening your game, and our professionals offer private lessons, golf camps & golf clinics. We have scheduled events, and can custom tailor a program for you & your friends.